Azure Skills Initiative - aboutxtreme! We are living in an age of digital transformation, with 80% of the Business deploying cloud technology. By 2020 the idea that a company has “no cloud” would be as rare as a “no internet” policy is today. This cloud momentum is real, will continue to rise and will be a critical component to your individual and company success. 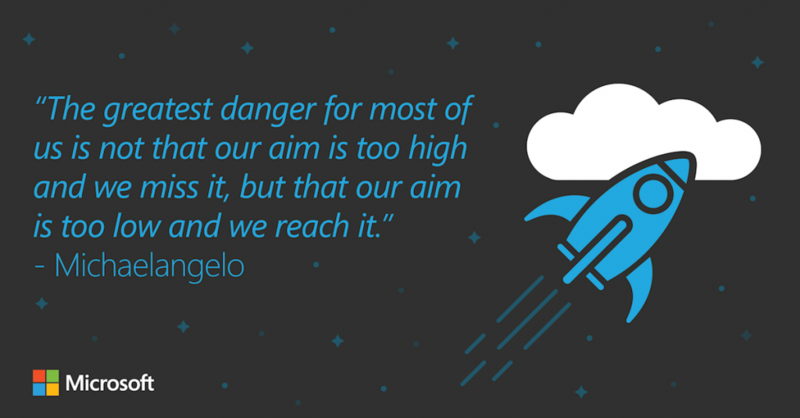 Getting Azure Skills training with about xtreme is the simplest way to capitalize on the massive cloud opportunity and bridge your skills gap. We are already seeing surge in demand as customers asking for Azure is going up fast! We do offer Exam Triple Pack – Three exams, three retakes, three practice tests too! Don’t miss the cloud opportunity – modernize your skills with Microsoft Azure and reach out today at learning@aboutxtreme.com for pricing and details.